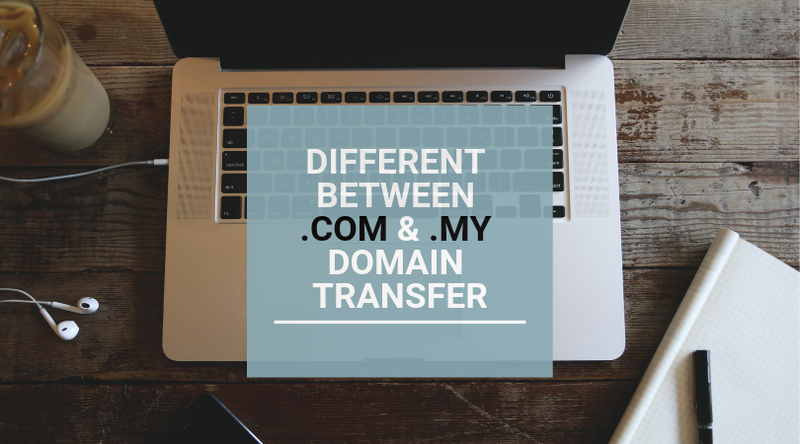 【Do You Know】What Is the Different Between .COM & .MY Domain Transfer? I believe many .COM users are familiar with domain transfer (transferring between a Registrar to another Registrar). The objective basically allowing new registrar to take over all domain renewal/management and sometimes DNS hosting functions. It is however, there is different concept with .MY domain name and .COM domain name. For the .COM , there are hundreds of Major Registrar and all moderated and governed by ICANN. However, for .MY there are 1 registrar that are in charge of moderating and governing all .MY extensions, which is MYNIC Berhad (http://mynic.my). Under MYNIC , consider of 70+ Direct Reseller that have direct links to domain name system to register and approve domain name. From the above structure, you can see that .MY have different process and naming for Domain Transfer/Renew. In .MY terms, simply means by transferring domain ownership (rightful registrant) to another New Owners, probably another Company. The process involving deleting the existing domain name and re-register under new Owners. If a Domain still have a validation of 6 months, and after transfer has made, all remaining months will not be able to transfer to the new owner. Therefore, the New Owner have to make a new payment similar to the process of registering a New Domain. How about Renewal with a different Company/Reseller ? Renew of Domain name, do not required any Domain Transfer process like unlocking domain, requesting EPP code etc. It is simply by login in to http://mynic.my , select "manage domain account " and change the invoicing party to the new Company you would like to make renewal payment. We provides great service and guidance!